It’s that time of year again when wherever you go people seem to be coughing and sneezing all over the place. The best way to prevent the common cold is to sneeze/cough into tissues and throw them away immediately, wash your hands regularly and thoroughly with warm soapy water and clean surfaces on things like keyboards and phones. A good diet is never going to guarantee you freedom from the misery of the common cold. However in this post I separate the myths from the facts and give you five ways to fight colds with food. Maintain a healthy weight. Having a Body Mass Index above 24.9 or below 18.5 has been linked to impaired immune function and this is going to increase your risk of catching a cold. You can find out your BMI here. Check your BMI If you need to gain weight increase the amount of protein, high fibre carbohydrates and healthy fats in your diet. Milk or soya alternatives, meat, poultry, fish, beans and pulses are great sources of protein. Include one of these at each meal. Cover half your plate with wholegrain starchy foods such and wholemeal pasta, brown rice and wholemeal cous cous and include oily fish, nuts and avocado for healthy fats. If you need to lose weight there is plenty of advice throughout my blog. You can read an introduction to my approach to getting you in the right mindset here A healthy eating mindset . Look after your gut bugs. Our “microbiome” is the unique mix of bacteria, viruses, protozoa and other bugs inside our intestines. The composition of our microbiome influences our immune system and general health. We are learning more and more about it every year. We know that people with a lower fat, higher fibre diet including plenty of different types of fruit and vegetables have more diverse bugs in their guts. These people have better health generally. Probiotics have also received a lot of media and some research interest. Probiotics are live microorganisms that can change the composition of our microbiome when consumed in sufficient amounts. You are probably most familiar with “live” yogurt but other fermented foods are also of interest for example sauerkraut, kimchi, miso, and tempeh. There is limited scientific evidence for the benefits of these foods at the moment and they can be high in fat, sugar and salt as well as being quite expensive. Also the actual amount of live culture in these foods varies and is not subject to the sort of regulation you get with medicines. This means that you cannot be sure what you’re getting when you make your purchase. That said some specific probiotic preparations have been the subject of more rigorous research. Actimel (1-2 servings/day) and Yakult (1-2 bottles/day) have been shown to cause clinically significant improvements in the rate and/or duration of common everyday infectious illnesses when studied in at least one randomised control trial (RCT.) For Actimel evidence is available for both adults and children and for Yakult the evidence relates to adults only at present. RCT’s provide the strongest evidence of cause and effect. Scientists like to have several RCTs showing the same thing before they make really strong recommendations so we still need to be cautious. However it’s something to try alongside a low fat, high fibre diet with plenty of fruits and vegetables if you have a bit of spare cash. Chewable supplement tablets for kids that have shown the same benefits in at least one RCT include Fit for School and Ultra Flora Children’s. For adults you could try Ultra Flora Immune Boost. Hopefully more products will be studied in rigorous RCTs and a wider range of more affordable supplements might become available in future. Make sure your diet is vitamin rich. There is no one vitamin that will prevent or treat colds despite all the myths out there. However we do know that vitamins boost our immune function generally so ensuring a good intake is wise. You can find out more here Information about vitamins Thorough reviews of the research evidence have concluded that there is little evidence that vitamin C supplementation is beneficial in terms of preventing infection. However high doses of vitamin C (1g per day or more) seem to reduce the duration of colds. Sadly the difference is marginal (an 8% reduction in adults and 13% in children.) Given that the average cold lasts about a week that’s a reduction of about half a day for adults and just under a day for children. Large doses of vitamin C may cause nausea, diarrhoea and stomach cramps so given the small potential benefit you may decide that supplementation is not worth the risk. 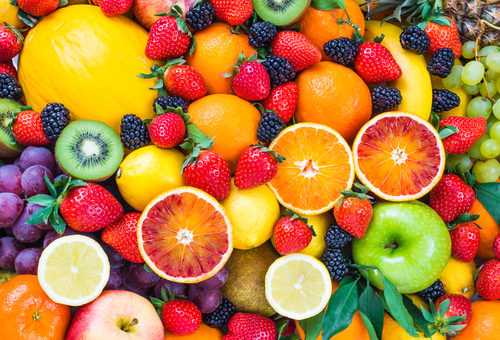 That said vitamin C is important for your health generally so make sure your diet contains plenty of vitamin C rich foods such as citrus fruits and juices, strawberries, kiwi fruit, pawpaw and melons, as well as green leafy vegetables, tomatoes, broccoli, and peppers. Vitamin D also contributes to the normal function of the immune system. However scientific reviews of the evidence have come to different conclusions about the impact of vitamin D on the common cold. We do know that vitamin D is critical for bone health and that we struggle to get enough from our diets. For this reason I recommend that all my clients take a 10ug supplement daily. Be mindful of minerals. A recent review found that taking zinc lozenges or syrup within 24 hours of cold symptoms starting reduced the duration of a cold by about a day. The severity of the symptoms also seemed to be reduced. The same review also showed that people who took zinc supplements for at least five months were protected against catching colds. It’s hard to say what dose you should take because the studies included in the review looked at different populations using different doses and different preparations for different durations. Whether or not you take zinc over the winter months to protect you from colds is a personal choice. If you do decide to give it a try then use a supplement that contains no more than the “recommended daily allowance.” Check that it also contains copper and iron to help reduce the risk of these nutrients becoming deficient and choose a preparation based on zinc acetate or zinc gluconate to ensure that the zinc is easy for your body to use. Research has shown that taking 50-100 µg selenium may improve our immune response but only in people with low selenium levels to start with. There is no data to support supplementation for the prevention or treatment of the common cold. So the advice is to make sure your diet contains good sources of selenium to avoid the risk of deficiency. The selenium content of foods can vary a lot depending on the selenium content of the soil where the animal was raised or the plant was grown. However wholegrains, dairy products, fish, nuts particularly brazil nuts and seeds are all good sources. So a good balanced diet should be all you need. Herbal remedies. Two RCTs have shown that 200mg American Ginseng (different to Asian Ginseng) when taken by healthy adults twice a day for four months shortened the duration of acute respiratory tract infections including colds. However many other studies failed to show the same effect. Contrary to popular belief there is not enough evidence to show that echinacea is useful for the prevention or treatment of colds. A few studies did show slight decreases in cold duration but these were so small that they were not clinically significant. So as usual the main message is to focus on keeping your weight healthy and having a good all round balanced diet. If you want to try probiotics, American ginseng, zinc or vitamin C you have the information to make an informed choice. If you are interested in exploring how to improve your diet to maintain a healthy weight or improve your health you can find out more information about my services and make an enquiry here. This entry was posted in Balanced diet, Preventing and treating colds, Uncategorized and tagged balanced diet, echinacea, ginseng, probiotics, selenium, vitamin c, vitamin c for colds, vitamin D, zinc, zinc for colds by Stephanie.fade. Bookmark the permalink.